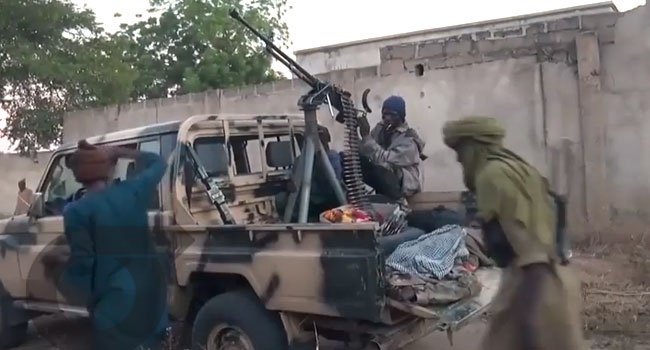 The Nigerian government says there is no cause for alarm despite alerts that have been issues by foreign countries that there could be an attack on the Federal Capital Territory. Western countries have issued travel advisories to their nationals, but the Nigerian government says there is no cause for alarm. The Federal Government on Sunday assured Nigerians and foreign residents that adequate security measures have been adopted to thwart any terror attack on the Federal Capital Territory (FCT) and elsewhere around the country. A statement by Segun Adeyemi, the spokesman for the Minister of Information and Culture, Mr Lai Mohammed, said “there is no cause for alarm despite the latest travel advisories by some Western countries”. “We know that the terrorists, who have been massively degraded and put on the run, have been looking for soft targets to attack. “This is the nature of terrorism all over the world, as can be seen in recent attacks in the UK, France and Egypt, among others. “That is why the Nigerian security agencies have continued to be on the alert, even if their efforts have been largely unobtrusive so as not to disrupt the daily activities of the citizenry. “Such efforts are routinely stepped up during religious festivals,” he said. Mr Mohammed said the Federal Government would continue to take adequate measures to protect the lives and property of citizens and non-citizens alike. He reiterated that the military remained unrelenting in ensuring that the terrorists neither regrouped nor regained the capacity to carry out organised attacks. The Minister said the Federal Government’s sensitisation campaign on security, with the punchline “if you see something, say something”, would be stepped up on national radio and television. Citizens were also asked to be security conscious and report suspicious people and objects to the security agencies.